Jim Carrey at his best performance ever, in "Lemony Snicket's - A Series Of Unfortunate Events"! This screensaver has numerous animations and slide shows containing countless images, with music (which can be muted)! This screensaver fits any screensize. 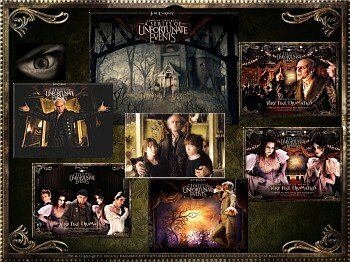 All photo images downloaded from Lemony Snicket movie site and Radio Free. Read a review of the movie at JoBlo.com. For another Lemony Snicket site, Click Here. Screensaver and animations copyright, ART-TLC ©.